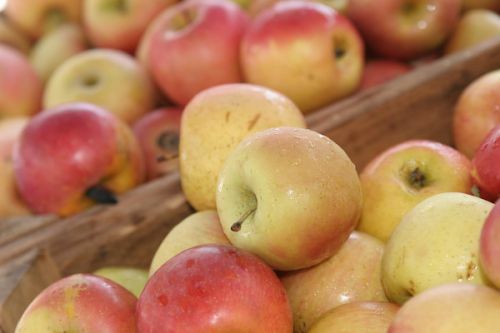 Another "top 5" variety at the 'ol Three Springs Farmers Market stand, these sweet, firm morsels are also incredibly good keepers and are a great choice for someone who's thinking about buying online and are worried that they can't eat 25 lbs of apples before they get soft and yucky. Turns out, you can! These stay firm for a very long time (months in the fridge/basement/garage), so you can't go wrong with Fuji for your first bulk apple purchase!